Ask yourself this. How well do you really know your perfect customer? Your core group of patrons? It’s easy to say you know them like the back of your hand, but do you really? Can you pick them out from a crowd? If you overheard a conversation in line at the grocery store or at a coffee shop, would you know immediately whether or not they’re a fit for what your business has to offer? If you’re really looking to take it to the next level and understand who your audience is, it goes further than skin-deep. No, we’re not talking about a stalker-level approach, far from it! It’s about constant and consistent detective work using research, data, and understanding on a personal level. Don’t worry because as Sherlock Holmes we’ve got you covered. 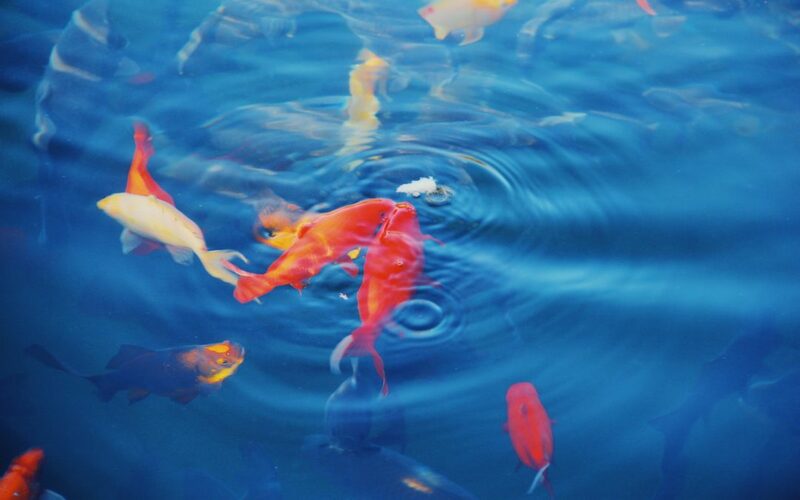 We’ll guide you to the right pond so you can find your perfect fish. But we can’t do it without you, John Watson! To get a complete picture of your ideal fan base, it takes a full-spectrum approach. Dig deep, walk a few thousand miles in their shoes, see things from their perspective, etc. Rinse and repeat for as long as it takes till you get a clear picture. We know you’re busy running your business so who on earth has time to delve into this? Well, we do! Here at Zonion Creative, we’ve studied the world of demographics, psychographics, lifestyles, geographics and so much more, for many businesses. We lean into the resources (aka big brother) with maximum precision – yes, we can find out who in your geographic area has two poodles, children under the age of 10, or a boat that needs repairs. Whatever it is you’re offering, we deliver clever and irresistible campaigns that speak directly to your ideal people. Why is this so important? Knowing who your intended customers are is super critical for not only attracting new business prospects, it’s also critical when it comes to your marketing efforts. The two go hand-in-hand when you’re sussing out the right people to serve your magic. So where on earth to begin? Let’s start with the basics. Age, gender, location, occupation, marital, and socioeconomic status—do you have your clients’ background in these categories nailed down? If not, that’s okay! That’s why you’re still reading this post right? Tell us what you know so far about your people and we’ll be sure to fill in the gaps for you. It’s vital to get clear on the demographics before we dig even deeper. Soccer moms: Middle-class females between the ages of 30 to 45, married and living in suburban communities with one to four children, college or university degree, stay-at-home parent or working part-time, median household income between $75,000 to $100,000. Now say you’re running a meal prep business with products that support healthy eating, time-saving, and tips on making quick and easy meals. Or maybe you’re running a lawn care and maintenance business for homeowners. In the case of soccer moms, which business do you think appeals to them more? Most likely the meal prep biz, right? On the other hand, the lawn care and maintenance business is a likely choice if you’re going after the soccer mom spouses instead. As the master guides, from here we’ll take you to the next step of identifying where your target audience hangs out and what grabs their attention. Now the word psychographics may sound big and scary, but it’s really about going further than demographics and getting into personalities, values, lifestyles, and what your client’s do in their free time. This is equally important because it helps us figure out how we can relate or speak to your ideal clientele once we find them. Going back to soccer moms, some of their traits might include being expert organizers and task-managers, family-oriented, compassionate and putting the needs of others before their own. As hobbies they may choose relaxing activities like reading books and lifestyle magazines, working out at the gym, going to spas for massages, etc. A key point to think about is how will your product or service fit into your audience’s lifestyle? When will they need what you have to offer? Since the rise of the Internet and social media, the majority of us are turning to online sources for most of our information, hence the rise of social media marketing too. Let’s take the meal prep business example. When and where would soccer moms be exposed to its products? Chances are this would be at the grocery store, Bed Bath & Beyond or an equivalent, on Pinterest when searching for recipes, or even Facebook or Instagram when the moms get a chance to post a shot of their little one’s game-winning goal. Remember, be where your core customers are and market to them there. Once you’ve got both the demographics and psychographics down pat, it’s time to see and think like your loyal patrons. Where are they gonna look for you and your business? How will they find out about you? Here are some thoughts to chew on. If your primary audience commutes to work every day (an hour each way) in their own car, AND you know they’re devoted radio-listeners, we might advise you to invest in a radio ad campaign. Plus, if they’re 55, male, and affluent we might put that schedule on a newstalk station. This is right up our tribes’ alley by the way! There’s no need to waste precious marketing dollars if you know your fans and followers aren’t the type to read the morning paper cause they’re sprinting to their cars instead. In this case, newspaper or print ads aren’t gonna benefit your business. Think small and strategic first because mass targeting often doesn’t yield the results or ROI (return on investment) you’re truly searching for. There’s no point in casting a wide net to “go big or go home” when the prized fish you’re after is in a different lake entirely. With our expert-level detective skills, we’re on your side to help you find your perfect crowd. We make sure to set the stage for you with on-point branding coupled with laser-focused messages no matter what market your business is in. Sound like a plan? Reach out to us today and let’s get this ball rollin’!